Since the announcement of Hot Toys’ 1/6th scale Star Wars line of figures at last year’s San Diego Comic Con, along with the reveal of the first two figures in the line, Han Solo and Chewbacca, toy fans around the world have been excited to see what the Hong Kong based collectible company will release next. Not ones to disappoint, Hot Toys helped celebrate the new year with the announcement of the latest figure in the 1/6th Star Wars line: Darth Vader himself! 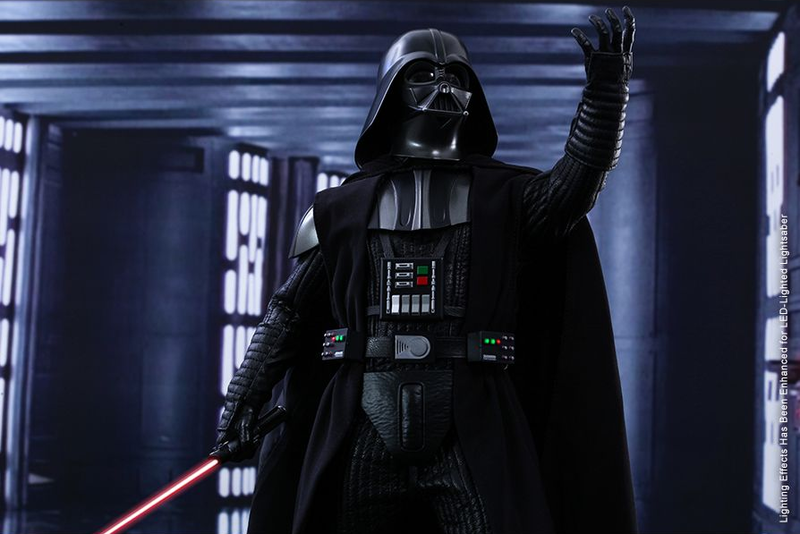 Originally teased in December 2014, the Darth Vader figure was officially revealed earlier this month, and will feature a number of unique features and accessories. 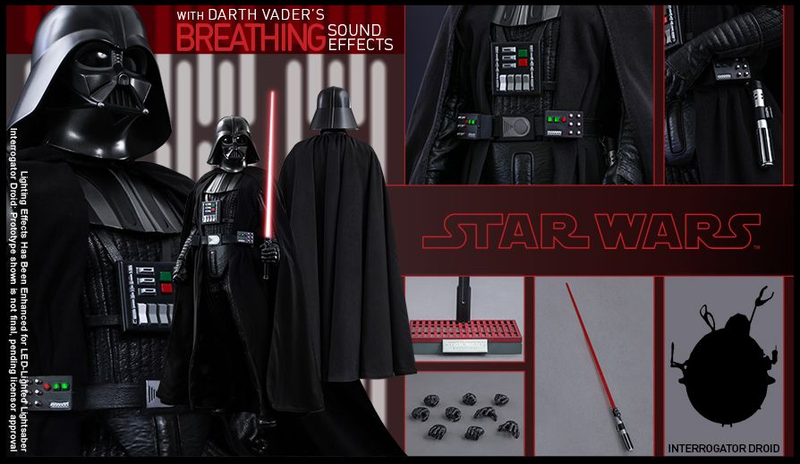 For example, Vader will come with a specially crafted sound effect function that will replicate the Sith Lord’s iconic breathing sound, as well as his red lightsaber with LED-lighted functionality! The figure, which will stand at nearly 14″ tall, will also come with alternate hands, an Interrogator Droid from A New Hope, as well as a special stand made to resemble the halls of the Death Star. 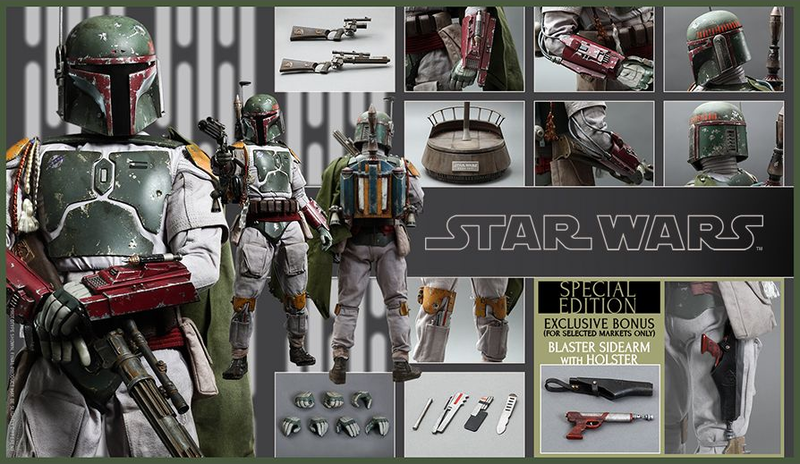 Also joining the lineup is the new 1/4th scale figure of Boba Fett! Revealed in late December, Boba Fett will stand at an impressive 18″ tall, and comes with swappable hands, screen-accurate cloth details and armor damage, and a multitude of weaponry and accessories, including a stand designed after Jabba the Hutt’s barge. Both figures will be made available later this year, giving Star Wars fans a chance to get excited for Episode VII: The Force Awakens in December!